As we close in on the impending release of Mega Man 11, we’ve gotten a special surprise today — not one, but two Robot Master reveals, rounding out the eight. 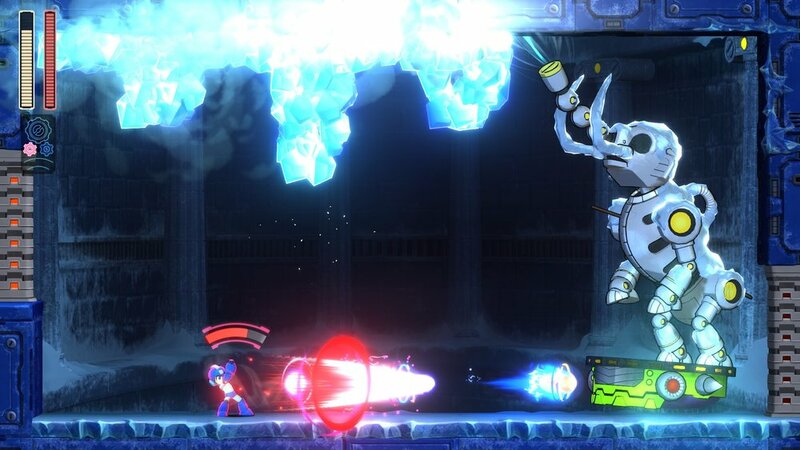 According to Capcom Unity’s post, Tundra Man was built for arctic exploration and research, but has a flair for theatrics and exercises his creativity through the art of ice skating. In this game, he’s made his home in a museum, which allows for a nice callback to the robotic dinosaur skeletons seen in previous titles, such as Mega Man 4 and Mega Man 7. The stage is contrasted with Bounce Man’s, where instead of being soft and “safe,” the museum grounds are covered in icy hazards, not the least of which are death-dealing spike traps. Not only do you have to deal with ice on the ground, but from the air as well, with robotic snowflakes and block-dropping birds flying overhead. Now we just need a pterodactyl, triceratops, and sabre-tooth tiger. A robotic mastodon skeleton guards the path to Tundra Man as a mid-boss, while the Robot Master of the house himself skates along the icy battleground, his theatrics between attacks providing just the opening you may need in order to cancel his ticket. 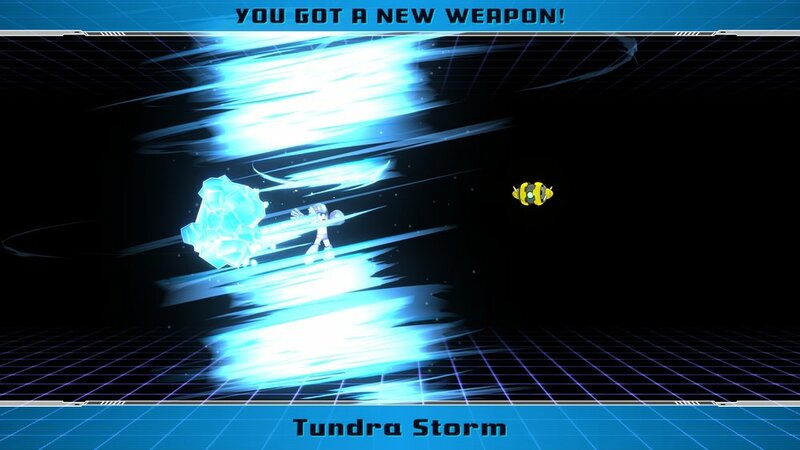 His weapon, the Tundra Storm, generates an icy tornado around the Blue Bomber, not unlike a charged Storm Tornado from Mega Man X. However, while that charged attack resembles this new one’s base form, adding a little Power Gear muscle to it causes the attack to span the entire screen. Without the full Capcom Unity post, the details on Acid Man are fewer, but his profile describes him as “a cutting-edge chemist turned mad scientist” who is “bent on mixing volatile concoctions.” He’s able to defend himself with acid shots and an acid barrier, which are kicked into overdrive when he activates his Speed Gear. 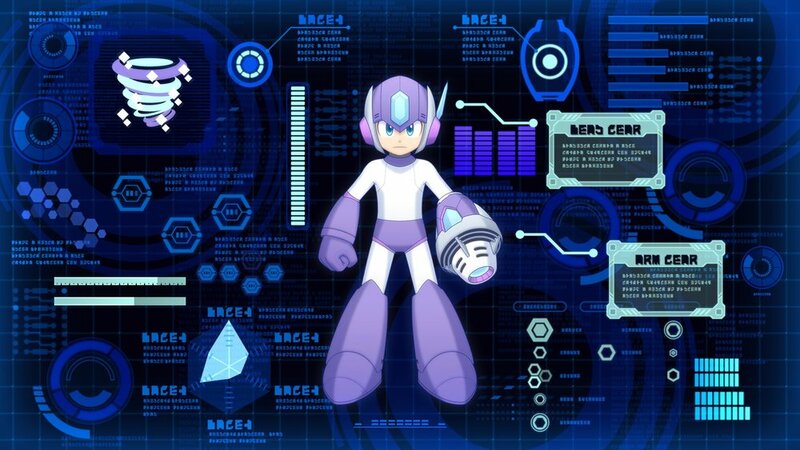 His stage is a chemical plant full of acid vats and chemical runoff, and acquiring his special skill gives Mega Man a corrosive barrier of his own, which protects him from missiles and enemy shots as he lobs his own acid shots at enemy robots. Now that all eight Robot Masters have been revealed, one can only wonder if Capcom has any other surprises left in store prior to the game’s release on October 2nd, when it arrives on Xbox One, Nintendo Switch, PlayStation 4, and Steam on PC.